SSGCID is one of two Centers funded by NIAID in response to RFP-NIAID-DMID-NIHAI2016061, RFP-NIH-NIAID-DMID-07-19 and RFP-NIAID-DMID-NIHAI2011124 and is a consortium of four Pacific Northwest institutions (Seattle Children's Research Institute, UW, UCB and Washington State University). The other funded center (CSGID) is based out of Chicago, IL. 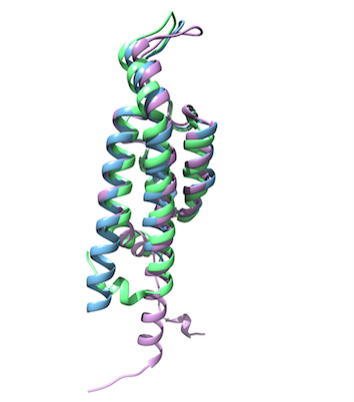 SSGCID’s primary mission is to determine the 3D atomic structures of proteins and other molecules with an important biological role in human pathogens themselves, or molecules involved in host-pathogen interactions, by applying state-of-the art high-throughput (HTP) technologies and methodologies. Pathogens include those on the NIAID Category A-C agents as well as emerging and re-emerging infectious disease organisms, each year for a period of five years. This program will also support research projects that utilize experimental approaches to better characterize the molecular mechanisms of protein targets and gain further insight into the functional roles of these targets. SSGCID clones and proteins are available to order free of charge. We are looking for authors to drive publication of any of our structures. Want to be first/last author? You can! Contact SSGCID Outreach. SSGCID is funded by Federal funds from the National Institute of Allergy and Infectious Diseases (NIAID), National Institutes of Health (NIH), Department of Health and Human Services, under Contract No. : HHSN272201700059C from September 1, 2017. SSGCID was funded under NIAID Contracts No. : HHSN272201200025C from September 1, 2012 through August 31, 2017 and HHSN272200700057C from September 28, 2007 through September 27, 2012.